Having a dry skin for me means an endless journey to find the perfect moisturiser. I don't like a face cream that is too heavy or oily as they tend to break me out. Meanwhile, some lightweight cream is just mediocre and does nothing to combat the dryness; they do give me hydration in the first one or two hours of application but their effect won't last as long as I want it to be. And boy, having dry skin is no fun! You'll know what I am talking about if you suffer from the same problem as I do. All the flakiness that doesn't seem to want to go away despite how often we exfoliate or how the makeup is never smooth and nice. Sad right? And do you know that having dry skin actually will cause the wrinkles and the fines lines on our face to look more prominent too since the lack of moisture tends to accentuate them more? So yeah, I am sending SOS! Over the times, I've managed to find only a few moisturisers that checked all of the conditions of the 'ultimate face cream' for me, and the newest one is the EyeNLip Super Aqua Moisture Cream. It was unexpected because, to be honest, I had little expectation when I first tried it. 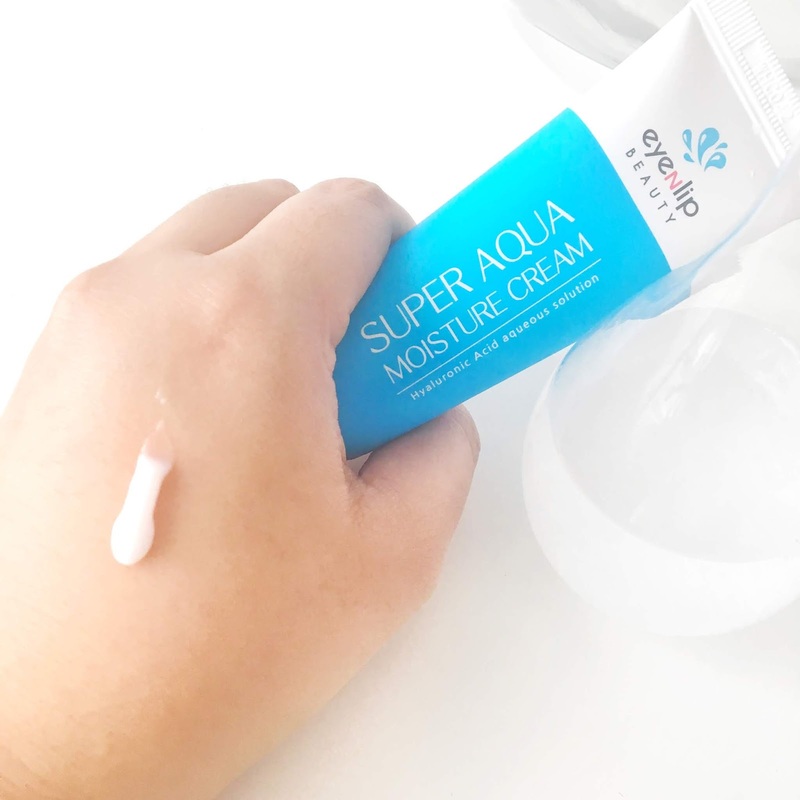 Approached by beautynetkorea.com for this review opportunity, I was sent a bunch of EyeNLip products; still testing some of them including their very interesting 'Calamansi' range, but I would say that this EyeNLip Super Aqua Moisture Cream is my top favourite so far! As a matter of fact, I just placed an order myself on their website today just to stock up on this. I got extra lucky as they are currently having a sale and there is a huge price drop for it! Like seriously, I only paid USD2.4 for one tube of cream instead of USD17+. Crazy cheap right? Ended up buying two more to keep in my stash because of the sale LOL. But really, at the rate I am using it, I feel like I am going to run out of the whole tube soon. And oh, I also ordered the snail and salmon variant of the gel cream from EyeNLip so I can test them out too and see if I'll like them as much as the Super Aqua version. Okay, enough ranting, let's talk more about the product. 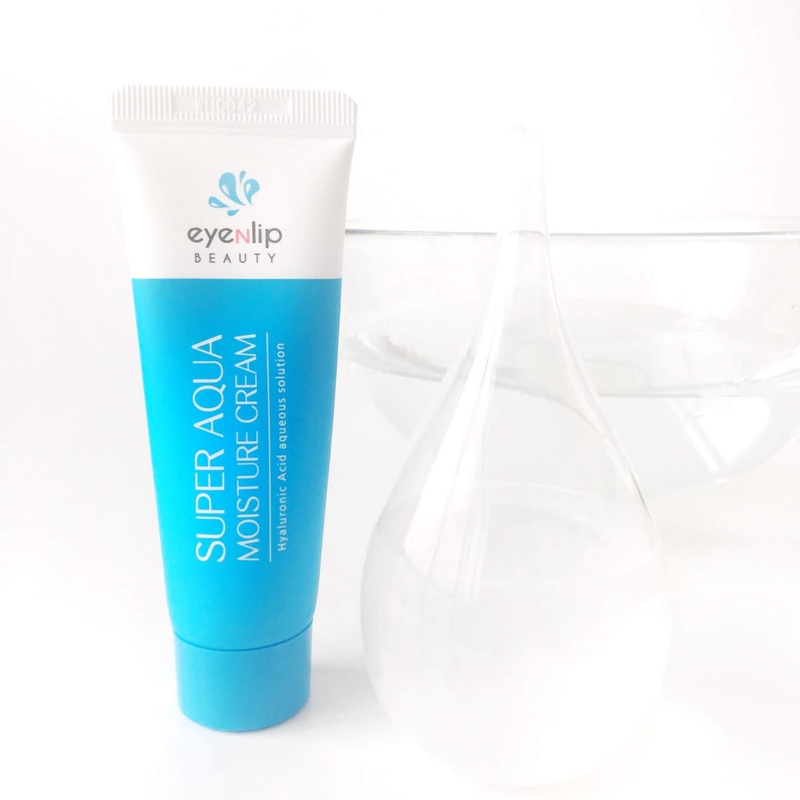 EyeNLip Super Aqua Moisture Cream comes in a 45ml squeeze tube. I love this packaging over the normal tub packaging most face creams have because I feel like they are more hygienic and less heavy. I like to pop it into my bag so whenever I feel like my face is starting to get dry, I'll just reapply them anywhere I want. 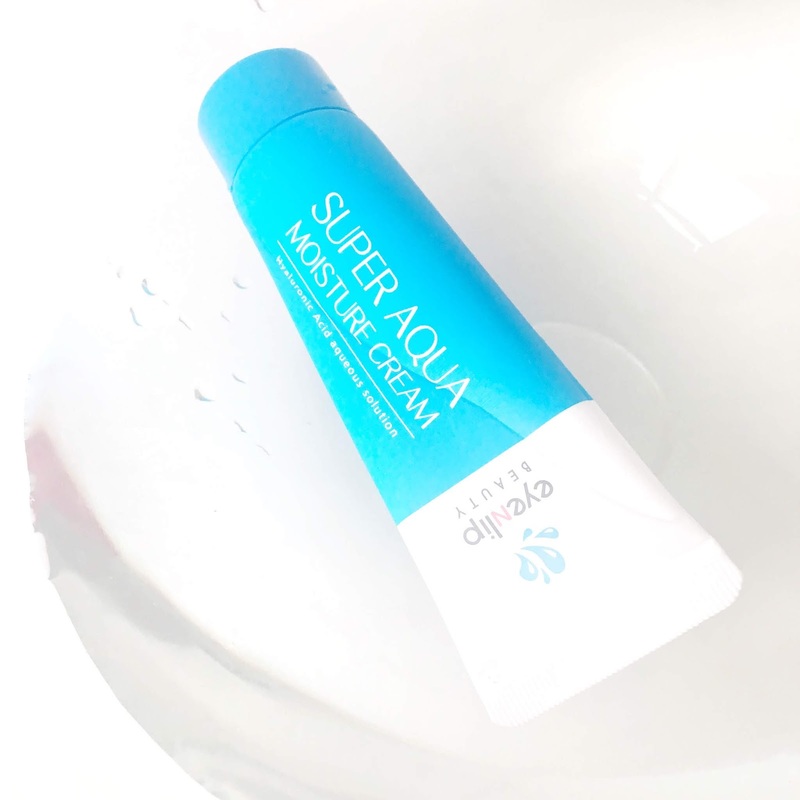 The product description claims that this cream 'creates a protective layer over a tired skin caused by the external environment while providing moisture at the same time'. I do have to agree on both personally. Like I say, this cream keeps my skin hydrated for quite a long time. I could also feel this thin, almost balm-like layer (not the greasy, uncomfortable kind) coating my skin after applying the product; making it smooth and soft. It also contains Morus Alba Fruit Extract (White Mulberry) and Niacinamide which are both great for brightening the skin. I do notice a slight brightening after about 1-2 weeks of application but nothing extreme or instant. This cream also seems to have some anti-ageing properties as its also formulated with ingredients like gingko, fig and pomegranate extract. One thing to note, I would say that the Super Aqua Moisture Cream would be better suited for those will dull & dry skin more especially with three super hydrating ingredients; Butylene Glycol, Sodium Hyaluronate and Glycerin. Those with oily skin, proceed with caution. Although it is a light cream, this product also contains Myristic Acid, Stearic Acid, and Palmitic Acid which according to skincarisma, can be potentially comedogenic (blocking pores).